Hey, y'all! Today is day one of Back to School Week here at Pitter and Glink. 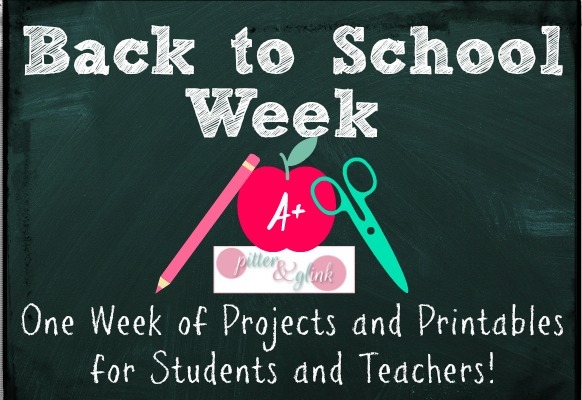 All week long, I will be sharing tips, printables, and projects for students and teachers just in time for the start of the new school year. 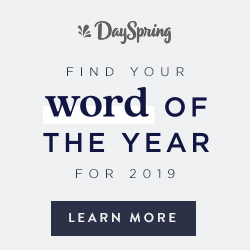 For day one, I have two posts planned for you. The very first one is, of course, this one. 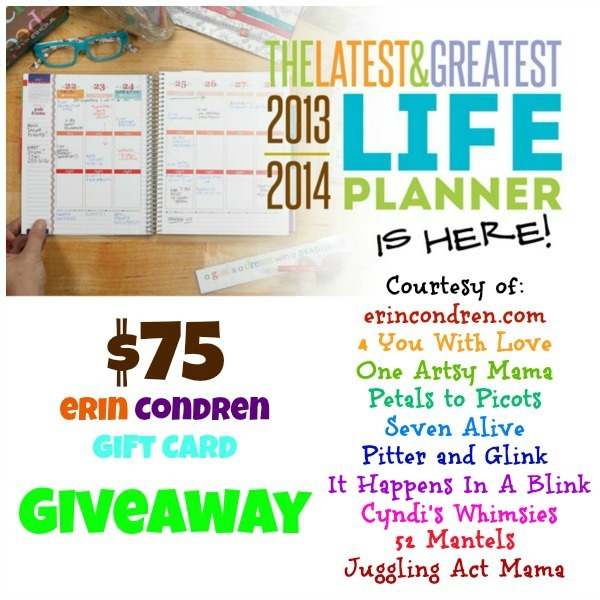 I have paired up with some awesome bloggers to offer you an amazing giveaway! Marilyn from 4 You With Love put together this giveaway, so I'm going to let her tell you about it... "It's Back to School time which means you're probably running around with a school supply list in one hand while pushing a shopping cart with the other. You're also on a budget because not only are you purchasing school supplies there are also the school clothes, school fees, along with with extra curricular activity fees. Wow. Well, a few of my blogging buddies and I want to help you during this time with a fantastic giveaway. How does this sound? Why this giveaway and why now? If your household is like mine, "mom" is the one who is the leader of "command central." And I don't know about you, but I need calenders and other tools to keep me on top of things. I must confess to something, though. I tend to use these tools more if they are not only functional but fun and pretty. I bet you're this way too...am I right? 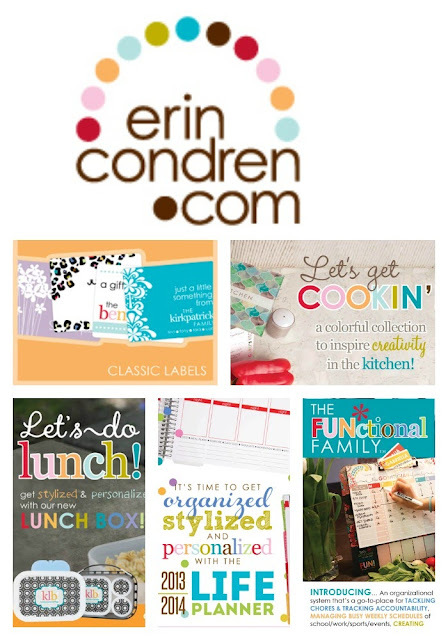 Well, erincondren.com has the most amazing products that I know you will love. Here's a glimpse of what you will find when you stop by. I have a life planner, and my daughter has one of the teacher lesson planners. Let me tell you, I've never seen a product better than these. I'm super psyched about my life planner because it is so much more than just your typical planner/agenda. Check out THIS VIDEO to learn more about these awesome life planners. Also, become a fan on the ErinCondren.com Facebook Page to keep up with all the latest. So, are you ready to enter? Just fill out the rafflecopter entry form below. The contest runs from midnight August 5, 2013 through midnight August 12, 2013. 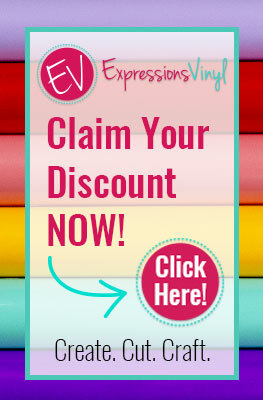 Please note, shipping charges are not covered by the gift certificate. The giveaway is open to residents internationally, but you will have to pay shipping on whatever you order using your $75 gift certificate. After you've entered the giveaway, don't forget to come back later today to check out another Back to School Week post. I have a cute, useful printable to share that you won't want to miss. What a great way to kick off "Back To School" week! We could all use a little more organization, couldn't we? What a great giveaway! How fun!